This is a bit with a stainless steel finish and copper on the mouth piece. The mouth piece is a correctional with copper that is 5 inches. The cheek pieces are 7 ½ inch medium shanks. The bomb is the newest addition to the Lone Star ropes line-up. This 100% nylon rope delivers tons of body and tip in a small diameter rope. The bomb is great for hot weather and extremely durable. 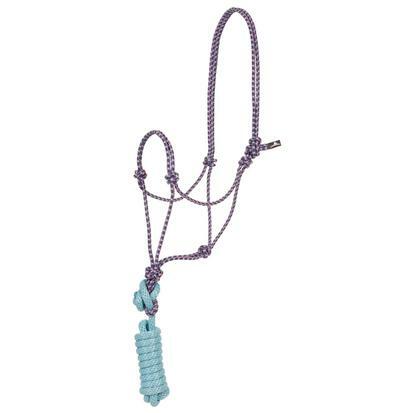 Rope halter made from two tone poly rope that is diamond braided that is one continuous piece and resists rot. 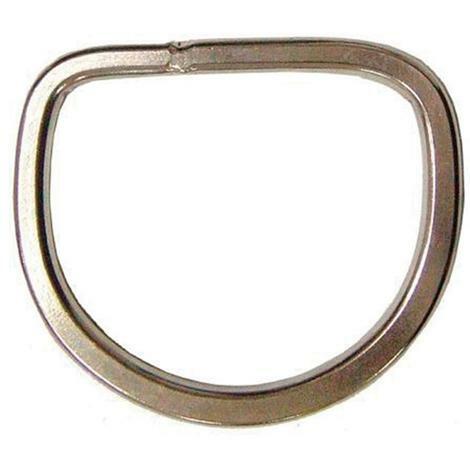 The halter is ¼ inch and the lead is 5/8 inch. The lead matches the rope halter and is 8 feet long. 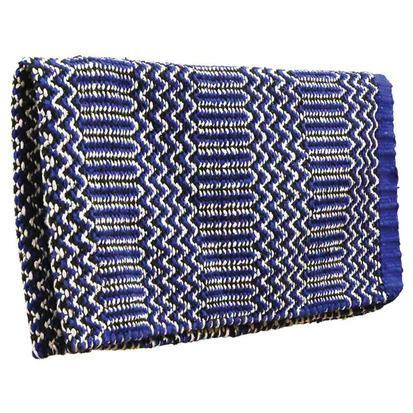 This synthetic saddle blanket is made from tightly woven acrylic fiber blend. This is a very economical saddle blanket that is also very durable. 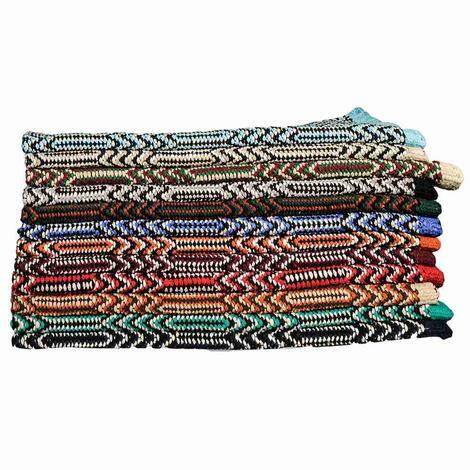 The tight weave of this saddle blanket adds strength and durability. 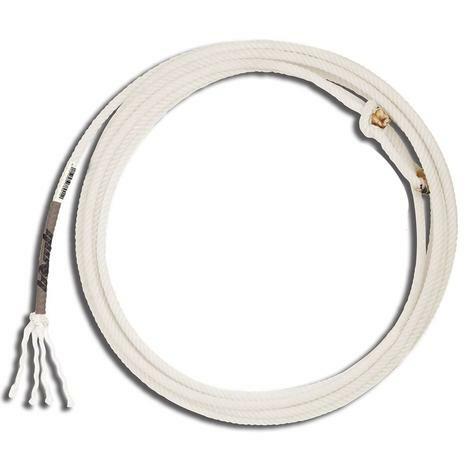 The Ramrod Double Weave measures 32 inches by 64 inches. The 1 inch band has engraved German silver trim and floral buttons. 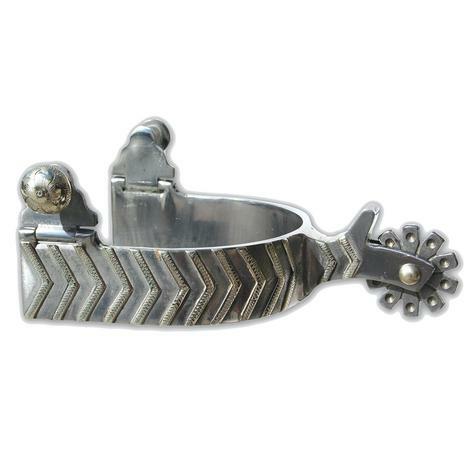 The spur rowel is blunt, has ten points, and has engraved dots. The shank is 1 ¾ of an inch and has chap guards. Professionals Choice Cowboy Spur. 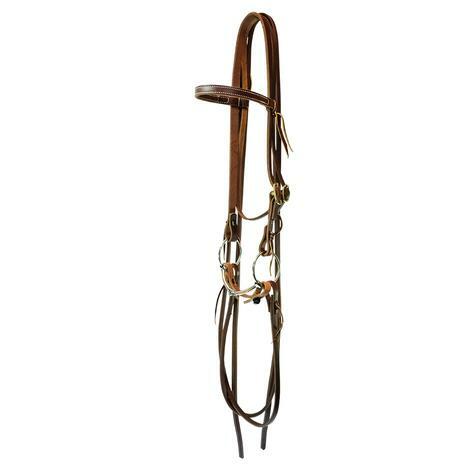 The headstall allows you to better influence the movements of your horse. The cheek pieces are 2 3/4 inches. The mouthpiece is 5 1/4 inches and is steel with copper overlay. Made from premium leather. 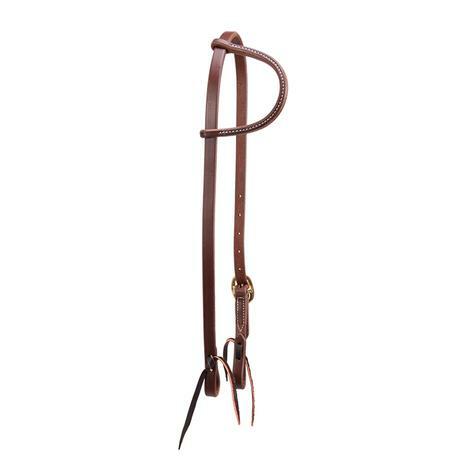 STT exclusive heavy split reins made from heavy oiled Hermann Oak leather. 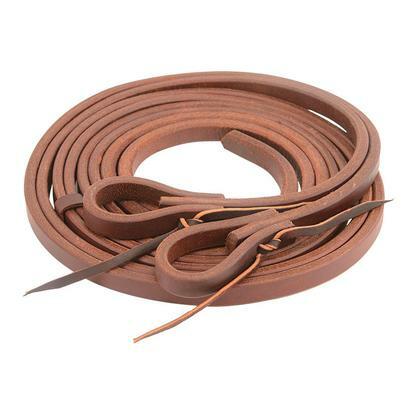 These split reins have a heavy tail and measure 5/8 of an inch by 8 feet. Stainless steel beveled rigging dee. 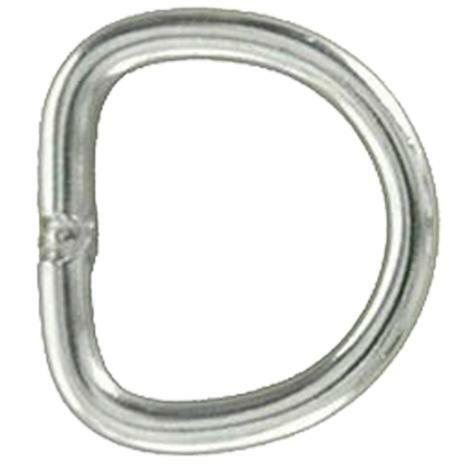 3 1/2" stainless steel flat rigging dee. Stainless steel flat welded dee. 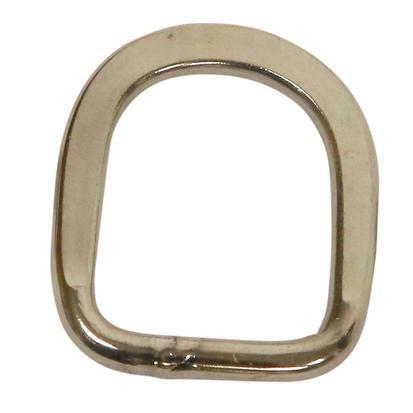 This is a loose pony ring snaffle with stainless steel dots on the check piece. 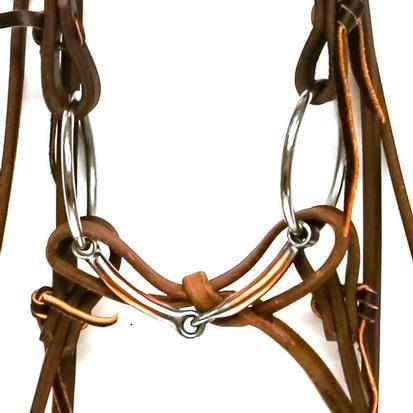 The curved snaffle has copper inlays and is 4 ½ inches. This bit has an antique finish and the cheek pieces are 2 inches. The Bomb is made from 100% nylon and handles great in hot weather conditions. This rope delivers tons of body and tip despite having a small diameter. XL no-turn bell boots from Iconoclast. This boot has a stabilizing bar that rests gently at the heel bulb and prevents rotation. This boot uses high quality Iconoclast construction and design to give your horse overreach and shoe protection. 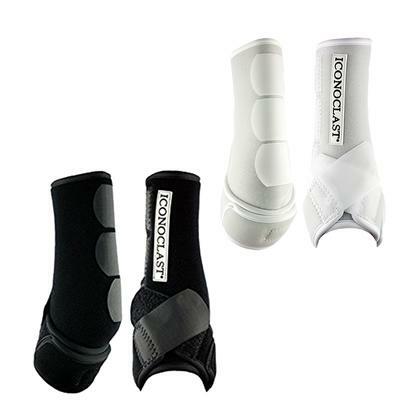 Support, stabilize, lift, and cradle the hind lower leg with Iconoclasts Orthopedic Sport Boots. This boot provides unparalleled lateral support thanks to the patented double sling straps. All suspensory branches are supported evenly by this hind boot. This boot reduces joint restriction and interference, while providing 360 degrees of balanced nonrestrictive support. It is designed to fit the hind lower legs and to protect them from soft tissue damage. Hind orthopedic sport boots from Iconoclast. The double sling straps are patented and provide unparalleled 360 degree lateral support. The lower leg is lifted and cradled while joint restriction and interference is reduced. The entire suspensory area is supported evenly across all branches. 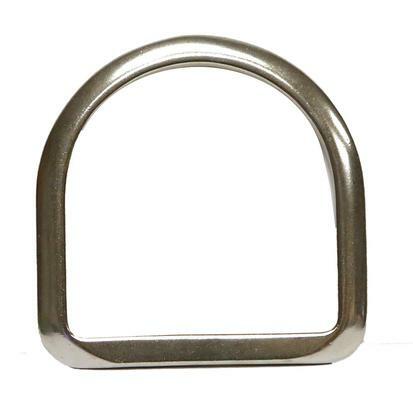 This is a nonrestrictive hind boot that supports and protects the hind lower leg, including the suspensory and sesamoidal regions. 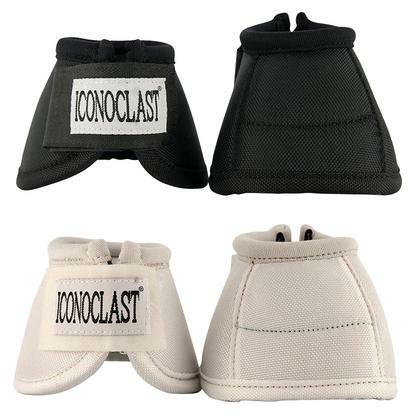 The Iconoclast XL orthopedic sport boot is for horses with back fetlocks that measure 11 ½ inches to 12 ½ inches. This boot provides balanced support to the soft tissue of the equine lower limb. Unparalleled balanced support for the lower hind leg including the sesamoidal region. The Orthopedic sport boot by Iconoclast is nonrestrictive. It provides 360 degrees of support, lifts, and cradles the soft tissue, tendons, ligaments, and joints. Evenly distributed support is delivered to all the branches of the suspensory region. 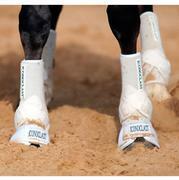 The XXL Iconoclast Orthopedic Sport Boot is for horses with back fetlocks that measure 12 ½ inches to 13 ½ inches. The design reduces joint interference and restriction. The Iconoclast Orthopedic sport boot is a non-restrictive devise that allows full range of motion while cradling and supporting the soft tissue of the lower limb. This orthopedic sport boot provides 360 degree support and protection to the suspensory and sesamoidal regions. The design reduces joint interference, restriction, and prevents hyperextension. Balanced support is evenly distributed across the suspensory branches. The double sling straps provide unparalleled lateral support. This boot is built to support and protect the front lower legs. Support the entire front lower front limb with Iconoclast’s Orthopedic Sport boot. 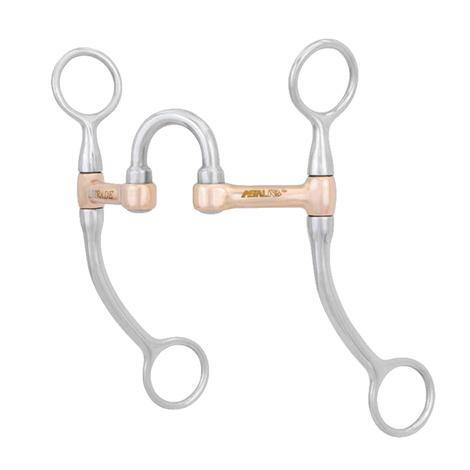 This is a nonrestrictive device that cradles and provides lift to the lower limb, including the sesamoidal region, the fetlock, and the suspensory tendon. Joint interference and hyperextension are prevented. This boot gives your horse 360 degrees of support without restricting movement. The design distributes balanced support across all the suspensory branches. Unparalleled lateral support comes from the patented double sling straps. The XL orthopedic sport boot is for horses with front fetlocks that measure 11 ½ inches to 12 ½ inches.